Walker’s Towing Service in Moose Jaw offers a wide range of services to keep you safe on and off the road. Our services are provided by skilled, expert Tow Truck Operators that have years of experience under their belts to help you out right away. Read through our capabilities below, and be sure to give us a call to request any of our services today. If you need a boost, or a jump start, give Walker’s Towing Service a call! Your battery can lose power if lights or ignition switches are left on for too long, causing your vehicle to be temporarily out of service until it is boosted. Our expert Tow Truck Operators will meet you where you are, and provide a temporary connection from our vehicle or another power source. This external supply of electricity will recharge the battery enough that the engine can be cranked and started. 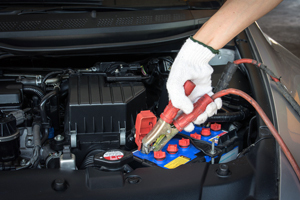 Once your vehicle is started, the charging system will begin recharging and the temporary connection can be removed. If the charging system is working properly, normal usage of the vehicle will restore the battery charge. We offer reliable tire changes that are fast, simple, and will get you back on the road in no time! 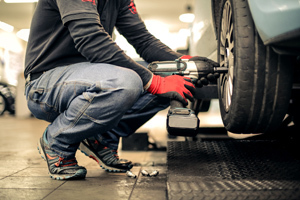 If you are stuck on the side of the road with a flat or if something went wrong anywhere else, we will meet you where you are to swap out the bad tire. We even offer a tow to a tire shop if you don't have a spare tire or your spare is flat. Locked out of your vehicle? Look no further! 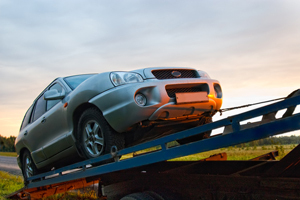 Walker’s Towing Service offers speedy lockout services to get your car, truck, or SUV unlocked. We do not recommend you attempt to get into the vehicle on your own, as this can potentially cause further damage. Our professional lockout tools will get your door opened without blemishing the surface. Our winching services will hoist and haul your vehicle out of a ditch, snowbank, accident, or other similar situation you might be stuck in. Walker’s Towing Service has a fleet of strong mechanical equipment to get the job done in an efficient manner and are available to tow you to a location of your choosing. 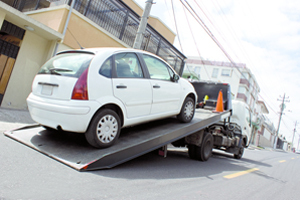 At Walker’s Towing Service we offer high powered services to get you to the garage. Our commercial grade automotive lifts offer the best solutions in this industry. The auto lifts here are available for cars, trucks, motorcycles, and other machinery.